We’re so excited to be announcing our weekly themes for our 2019 summer sessions at Camp Sealth! Each week both our overnight and day camp staff will incorporate the theme into daily activities, all camp events, meals and more! 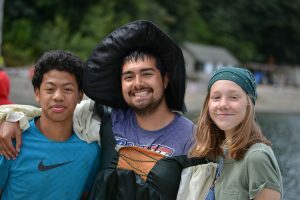 Participation in the theme is always optional, however, we encourage our campers to bring any costumes or accessories they have related to their week’s theme – Camp also has many costumes to borrow! Choose Your Adventure and Register Today! Prepare for the wonders of a zoological adventure! Dress up as your favorite animal, explore our marine touch tanks, and get ready for 4 days of jungle-themed fun! This week is all about stepping back in time! Learn about mythology and fossils, create your own dinosaur, and imagine what it would be like to live in an ancient civilization! 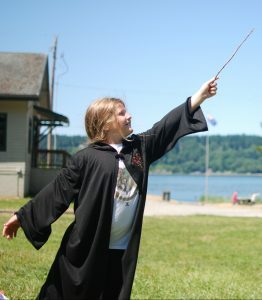 Dress up as your favorite magical being, make a magic wand with your cabinmates, and maybe even learn a few magic tricks! This week is all about the world of witches and wizards. Calling all spies and mystery enthusiasts, this week is for you! Solve a mystery with your friends, attend spy training, and see if you have what it takes to be a secret agent, Camp Sealth is counting on you! Ahoy Mateys! This is the perfect week to dress up as your favorite sea creature, play on the beach, or live like a pirate. You might even find some buried treasure! Saddle up, campers! Dive into the world of horses, ranchers, and gold this week. 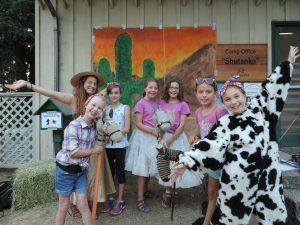 We’ll have events and themed meals centered on the Wild Wild West, plus a special Hoedown up at Wrangler where campers can witness life with horses firsthand! This week we’re going to blast off into space. Dress up as an alien or astronaut, attend Jedi Training, learn about astronomy, and see if you would survive an alien invasion! Dive into the world of your favorite fairy tales! This week is all about talking animals, fairy godmothers, ogres, centaurs and more. 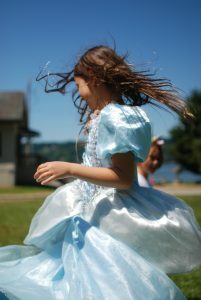 Summer Sessions Are Filling Fast! Many of our Classic Camp sessions are already wait-listed, and our Specialty and Adventure Camps are very popular as well! ← 5 Ways You Can Make a BIG Impact this Absolutely Incredible Kid Day®!